The first day of the 23th edition is over and the festival is in its full running force! We saw some amazing concerts yesterday, Mykal Rose blessed us with a performance of many great songs such as General Penitentiary and Guess Who's Coming To Dinner and Marcia Griffiths made sure people will never forget legendary songs such as Dreamland and Three Little Birds. If you are at the festival go visit the SunBeach that is full of beautiful reggae vibes. If you want you can walk there or you can take a Rototom Bus. On the road you will feel the vibes Rototom makes, because the people are not just at the festival grounds but in the whole city. Everywhere you go, you will meet the rasta pople - in the shops, bars, restaurants, parks and of course on the SunBeach! Today the main stage will be opened by Big Mountain and Green Valley and then we will be present to experience some magical moments as lovers of roots reggae music will gather to hear the legendary Israel Vibration with the Roots Radics. The second day of the main stage will be closed by the amazing artist Ijahman Levi, whose performance always is a big gem to the fans of reggae music. When the main stage closes, you don't have to go to sleep as Rototom has many other areas, where you can enjoy the music you love. 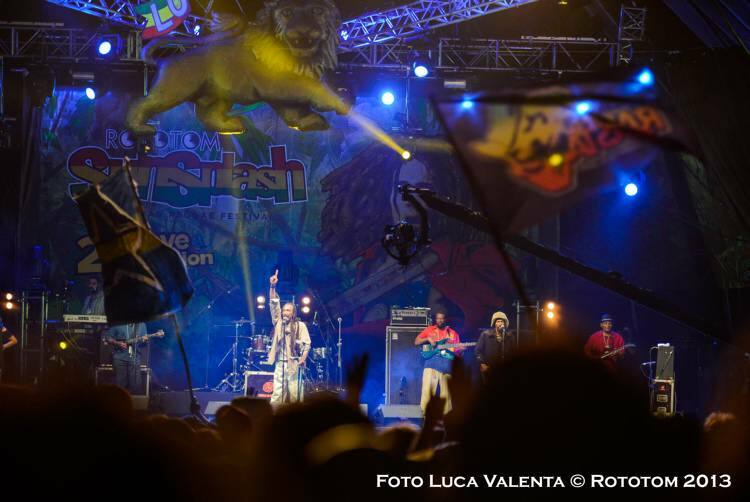 Stay tuned for more from the biggest European reggae festival, we have 6 days to go!